To make our customers the first priority and provide them with an experience that brings them back every time. By stocking a large variety of hose and fittings as well as other components, we can guarantee that 95% of the time you will walk out with the part you need. Sisco’s American Hose & Hydraulics was established in the summer of 2003 when Don Sisco was experiencing major problems with finding hydraulic hoses and fittings in the area to complete jobs. Most of the places didn't have what he needed and ordering it would take several days or maybe even weeks! So the company bought their first hose machine and started building an inventory of the most popular items that most people need. 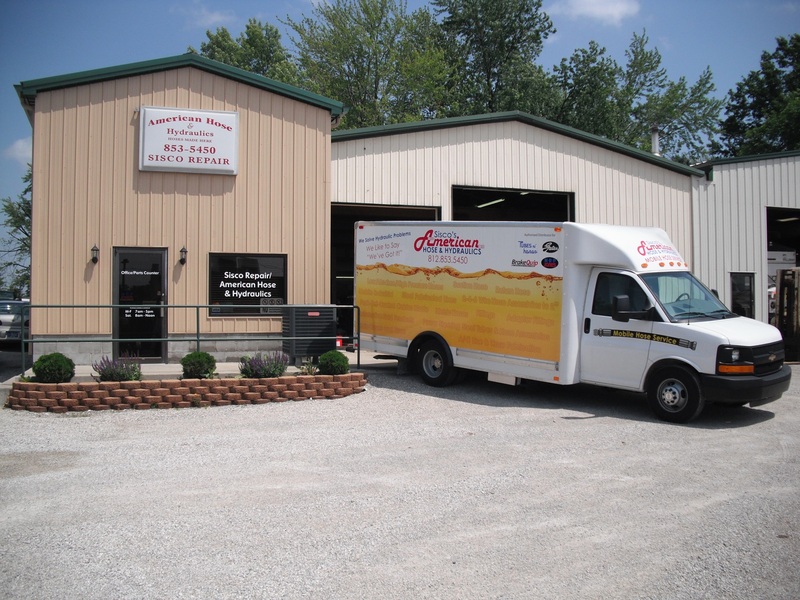 In 2005 the company purchased their first Tubes n' Hoses machine. At that time Don brought in his son Joel and started passing on his knowledge and experience to him. Joel quickly picked up and continued what his father had started. As more customers started coming in and finding they had the basics, customers started bringing in more odd fittings and hoses. When this would happen, Joel took note of what they brought and started stocking it. Through this method, Sisco's has built the largest inventory of hose and fittings in the Tri-State Area! Today Joel is the CEO of Sisco's American Hose & Hydraulics and is working alongside his father to continually expand and grow the company to meet and exceed their customer's needs.